Team Hot Wheels™ Lands Guinness World Records® Title as Drivers Race Through Six-Story-Tall Double Loop at X Games Los Angeles 2012 | Mattel Inc.
EL SEGUNDO, Calif.--(BUSINESS WIRE)-- Two drivers for Team Hot Wheels™ set a Guinness World Records® title today for successfully racing through a 60-foot-tall double vertical loop at X Games Los Angeles 2012. 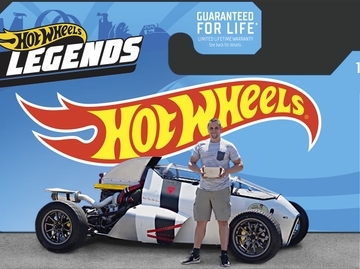 The Team Hot Wheels™ Double Loop Dare, a life-sized version of a Hot Wheels® orange track set, defied gravity with a first-of-its-kind two-driver challenge. 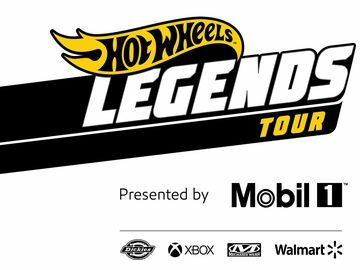 Green Driver Greg Tracy, one of Hollywood's top stuntmen, took first place victory as he edged three-time X Games gold medalist and Hot Wheels® Yellow Team Driver Tanner Foust as the two simultaneously raced through the giant up-side-down loop. Meanwhile, Foust, who provided tremendous competition, and spirit can continue to boast about his latest world record obtaining the longest distance vehicle jump at last year's Indianapolis 500. Additionally Foust a world-renowned professional stunt driver has two Formula Drift Championships complimenting his three X Games gold medals. He will be racing for more X Games glory in the RallyCross competition Sunday July 1 on ESPN. Mattel, Inc. (NASDAQ:MAT - News) (www.mattel.com) is the worldwide leader in the design, manufacture and marketing of toys and family products. The Mattel family is comprised of such best-selling brands as Barbie®, the most popular fashion doll ever introduced, Hot Wheels®, Matchbox®, American Girl®, Radica® and Hot Wheels® RC, as well as Fisher-Price® brands, including Little People®, Power Wheels® and a wide array of entertainment-inspired toy lines. In 2011, Mattel was named as one of FORTUNE Magazine's "100 Best Companies to Work For" for the fourth year in a row, and also is ranked among Corporate Responsibility Magazine's "100 Best Corporate Citizens." With worldwide headquarters in El Segundo, Calif., Mattel employs approximately 30,000 people in 43 countries and territories and sells products in more than 150 nations. At Mattel, we are "Creating the Future of Play™."